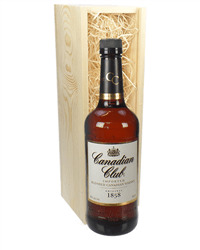 Canadian Club is an imported blended Canadian whiskey that has been in production since 1858! 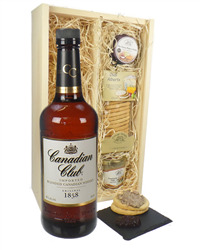 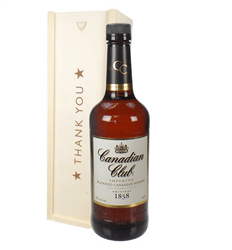 We stock Canadian Club Whiskey gifts that can be delivered on a date of yuor choice. 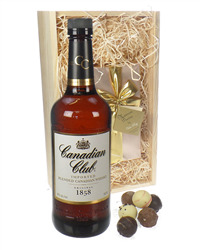 Choose from a single bottle gift, through to Whiskey and chocolates, Whiskey and Teddy Bear plus more.